Especially when it's functional, and pretty darn well. 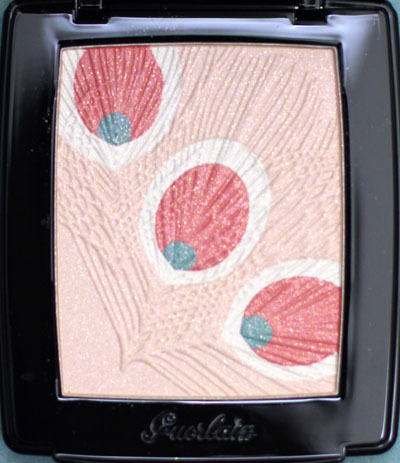 The best part about the peacock-feather-embossed Parure de Nuit Powder & Blush palette is that the pattern does not go away. Nope. Not on your first swipe, not even on your fifth. I needed a dense brush (and some intense diagonal swiping) to get a dose of that pink pigment, but the beautiful pattern stood dignified against my furious back-and-forth sweeps. The overspray, however, disappears within the first touch of a brush, something I'm really glad for. Said sweeps also resulted in a really subtle natural flush on my cheeks. A word of caution: people with darker skin tones will find it near impossible to get the pigment to show on them. If you swirl the pink, white, blue, and beige colors together, you get a powder with the slightest hint of shimmer that can be utilized as an all over face powder or subtle highlighter, delivering an understated glow to your look. For those who dislike the larger shimmer particles imparted by the Météorites Perles de Nuit (review forthcoming), Parure de Nuit serves as a stellar alternative. I find the powder to be so finely milled and comfortable to touch, the words "thin veil of silk" repeatedly comes to mind. It also comes as no surprise that the powder features a heavy fragrance. Guerlain cites one of its legendary perfumes, Vol de Nuit, as the inspiration for this collection. I have never taken a whiff of that perfume, but I’m going to hazard a guess and say hints of it is within this powder. Those with better knowledge on this are welcome to correct me! 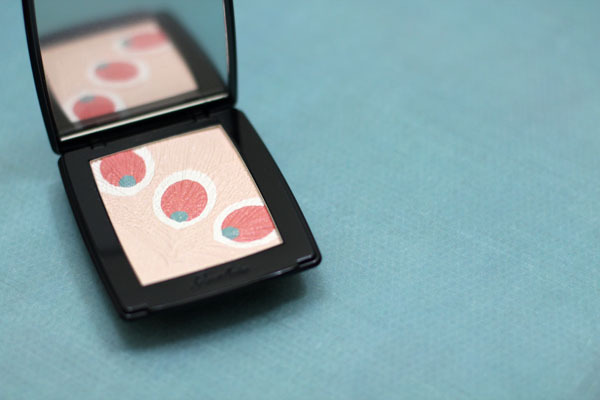 The palette is housed in a compact similar to the Blush G Serie Noire that was launched for spring. 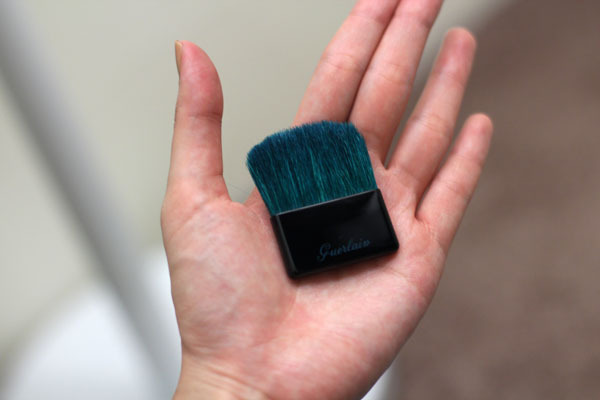 Its hidden compartment houses a brush with teal bristles that's quite handy when it comes to targeting the pink portions. 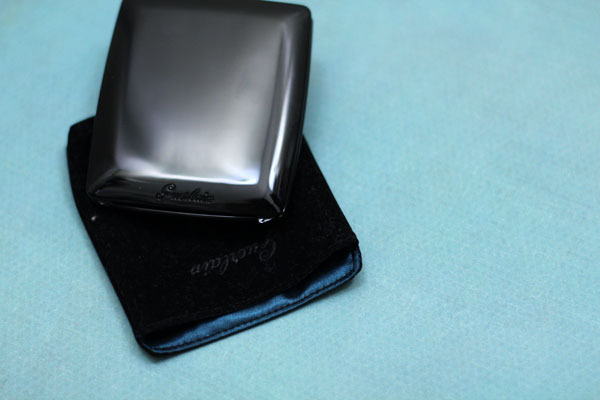 The palette also comes with a black velvet pouch with blue lining. 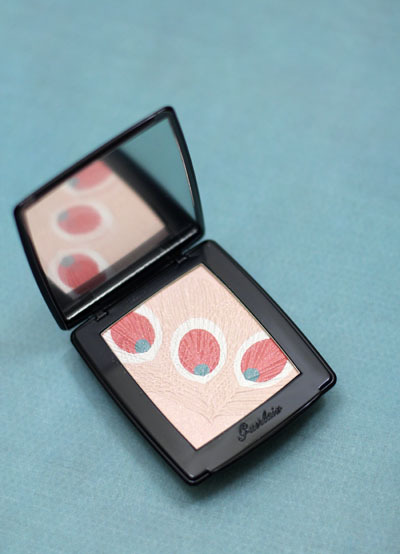 Guerlain Parure de Nuit Powder/Blush retails for $67 and is available at Guerlain counters nationwide. As with all seasonal releases, it is expected to sell out very quickly, so grab yours before it's too late! 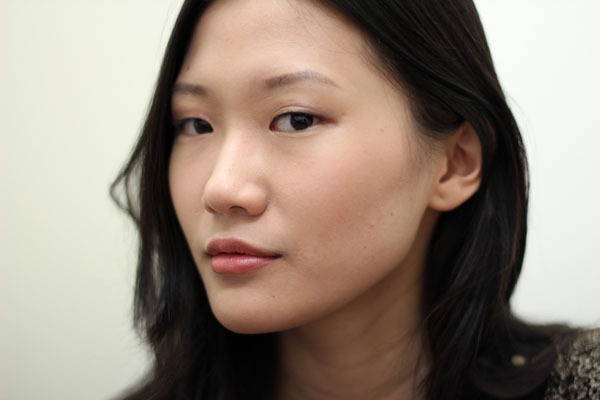 *For the curious: I am wearing the new Rouge Automatique 169 Flirt d’un Jour in the above photo. I want this so bad because, dare I say it, it seems practical! I would love an all over powder to give a subtle glow without glitter. I fear though that this will still have more more shimmer in it than I'm comfortable with for all over my face as I find the Meteorite Pearls do. I really need to try this baby out! It's such a pretty palette. I decided that I didn't need this, but knowing myself I will probably go see it at a counter to hem and haw over it. I will most likely leave without buying it, only to return the following weekend for it.. Let's see how strong my resolve is time! You are looking gorgeous as always. :) Thank you for your review! 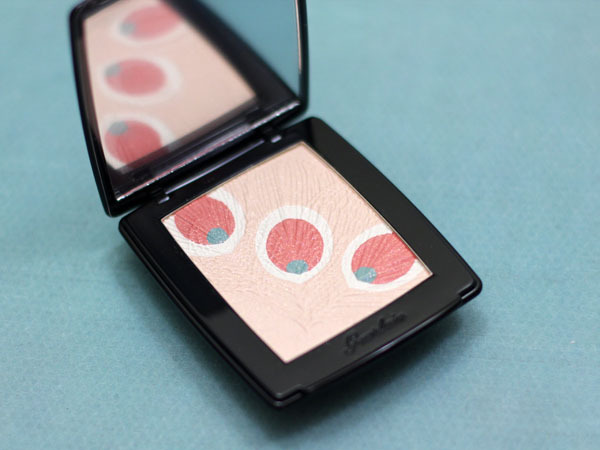 @PerilouslyPale and with your pale skin, you can work it as a blush too! :D I definitely think you'll find this much friendlier to work with than the Pearls. I had to angle my head to find the shimmer on my face, and they're few and far between. @reene Thank you :) Hahaha, I don't know if it's possible to walk away from this thing o.o let me know how it goes! I need this! I must look for it at Duty Free! Thank you for your review! Do you find that the fragrance fades on your skin? I cannot handle the strong violet fragrance of the meteorites. @Julia It's strong when I'm applying it with the brush, but once the brush leaves the vicinity of my nose, the scent disappears.